Can you point to a moment when a key piece of feedback dramatically changed your personal or professional life for the better? I find such moments stick with me. Timely, effective feedback has helped me reveal blind spots and clarify my strengths. And yet, I’ve been on both the giving and receiving end of feedback that wasn’t helpful. Maybe it wasn’t specific or actionable. Maybe it was vague or hinted at a larger issue underneath the surface. Maybe it was plain wrong. Giving great feedback, both positive and negative, is the purview of great managers. In my experience, this is way easier said than done. There have been countless times when my well-intentioned feedback for a report landed sideways. Rather than helping develop the report, the feedback eroded trust. Often, this was the result of shooting the feedback from the hip — I prioritized a speedy delivery over thinking through how to contextualize the criticism. Then I encountered a simple framework from Charles-Axel Dein that helped me frame feedback so it wasn’t just timely, but accurate and actionable. Observation of a fact. A fact is rarely controversial, so it’s a great way to start a conversation. Feeling: Express your feelings and your story. Clarify that it’s your story. Need: State what you value, or the kind of impact you’d like to see. Request: Explain what concrete action the person who’s receiving the feedback would need to take. Simple, right? The model is upfront with facts, clearly contextualizes the feedback from your perspective, and concludes with a concrete action the recipient can take. In short, it covers all the bases for effective feedback. Dein also explains what he calls feedback antipatterns. 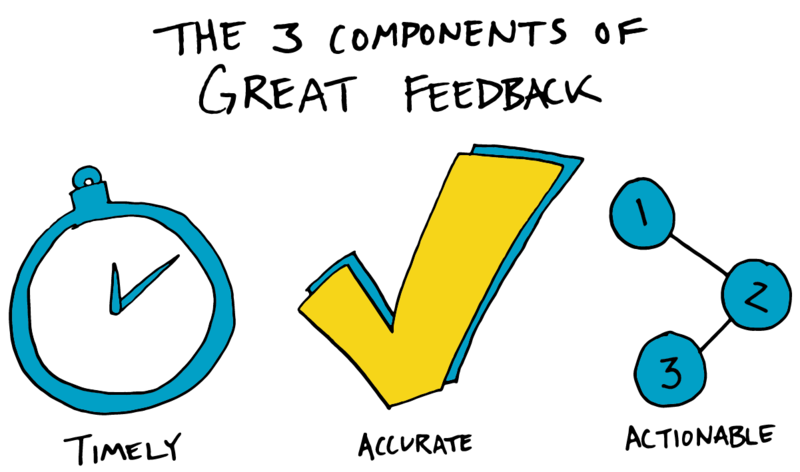 These are common traps, such as the “feedback sandwich,” that can diminish the effectiveness of the feedback being delivered. Paired with the ONFR model, these insights helped me feel more comfortable constructively coaching my reports.